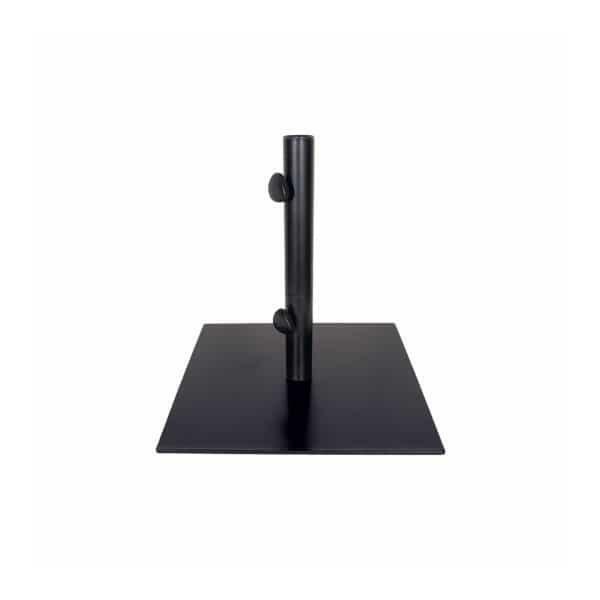 Straightforward and stripped of the superfluous, there is nothing fancy about this Steel Umbrella Base from Treasure Garden. It is flat, square, and, at 35 pounds, it is heavy enough to safely hold your umbrella in place underneath a table. At only .312” tall, this base is particularly desirable for those tables which have low bracing or cross-pieces that traditional umbrella bases will not fit under. 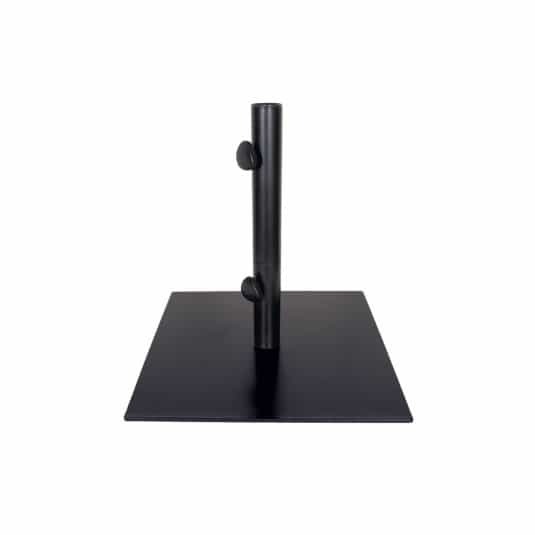 The Steel Umbrella Base by Treasure Garden comes in basic black. NOTE: NOT RECOMMENDED FOR FREE-STANDING UMBRELLA APPLICATIONS.